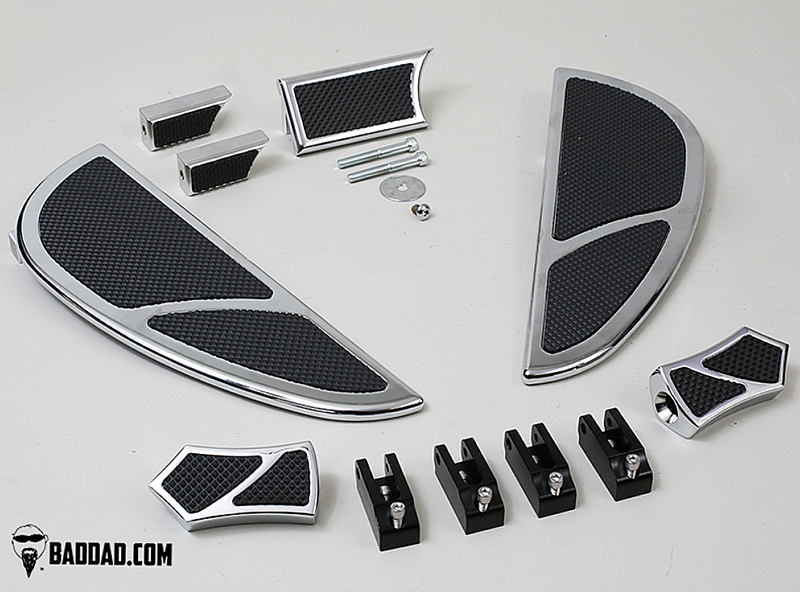 Dramatically improve the look of your custom bagger with Bad Dad's 905 Floorboards and save a few dollars when buying the complete kit. This complete kit includes Driver Floorboards, Passenger Foot Pegs, Brake Pedal, and your choice of Single or Dual Shift Pegs. All mounting hardware is included with this complete package. Front Floorboards: Boards measure 15-3/8" long, 5-1/4" wide at widest point, and are cut from 1/2" billet. Includes mounting brackets & hardware.